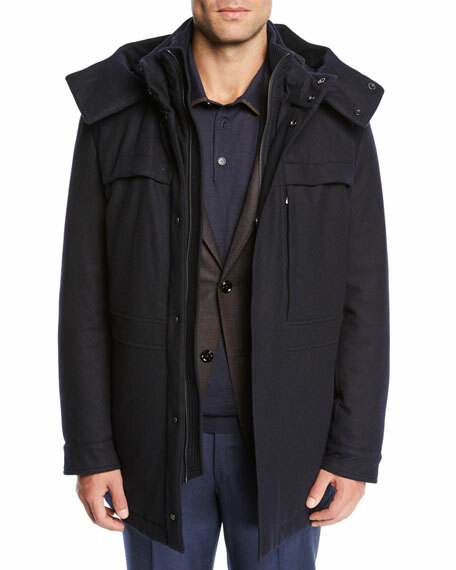 Loro Piana "Winter Voyager" coat in super-soft baby cashmere. 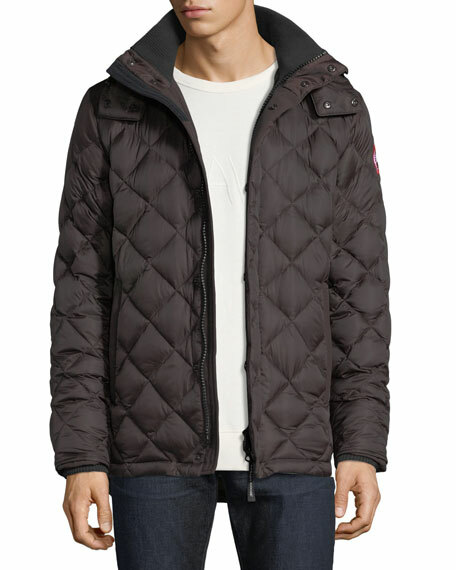 Treated with signature Storm System® for a waterproof, wind-resistant finish. Approx. dimensions: 32.5"L down center back. 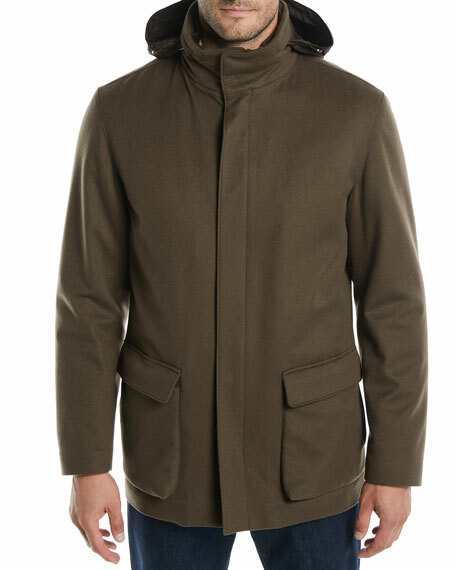 Stand collar with concealed zip/snap front and zip-away hood. Half button-tab belt at back. 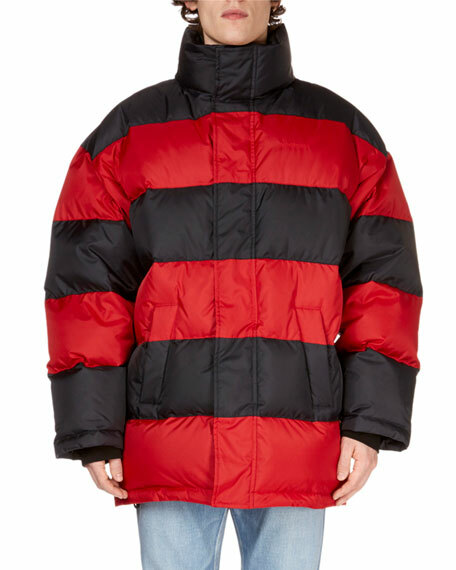 Balenciaga puffer jacket in two-tone stripes. Stand collar; hidden zip front. Knit cuffs. Side slip pockets. Straight hem. Nylon body and fill. Made in Italy. 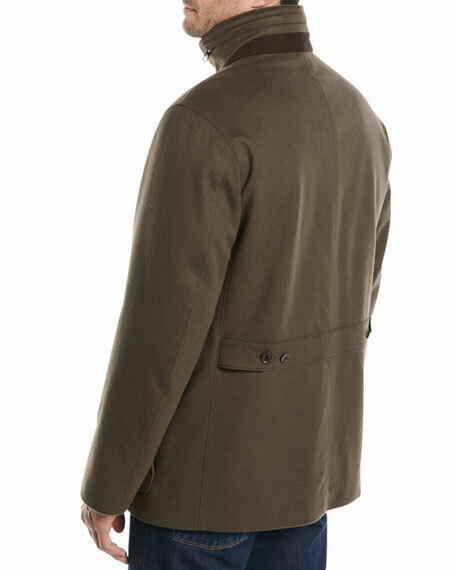 Ermenegildo Zegna "Elements" coat in Trofeo cashmere. Approx. 32"L down center back. 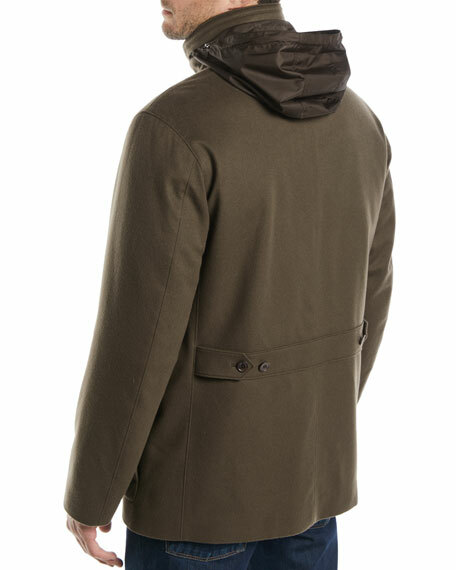 Stand collar; snap-removable hood. Tab-adjustable cuffs. Chest flap-zip pockets. Snap-placket hidden zip front. Interior pockets. Wool/cashmere. Fill, 90/10 goose down/feathers. Polyester lining. Dry clean. Imported.